Patta and KangaROOS are proud to present the PxK Hiking Collection. This debut release from the on-going collaboration between us and the St. Louis-based brand involves redeveloped and retooled versions of the archived K2 and Woodhollow models. 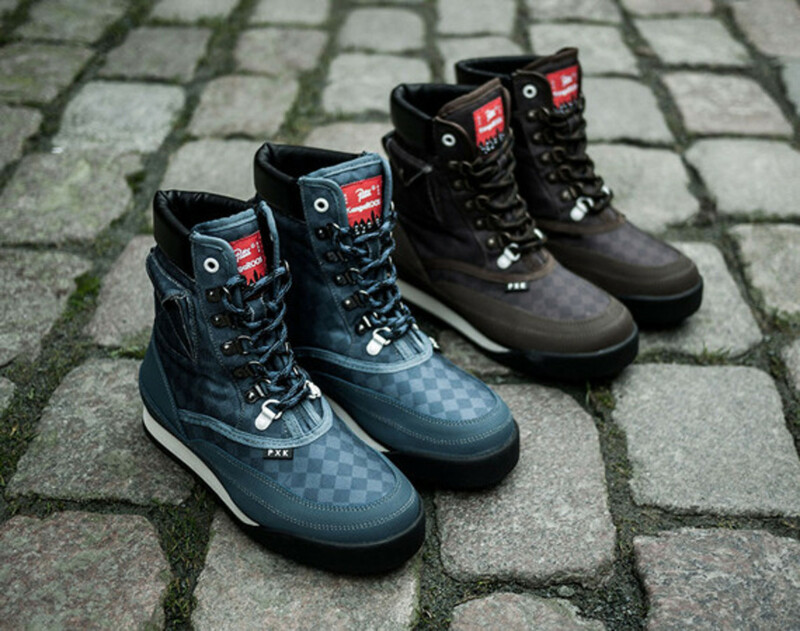 Both hiking boots have been reworked and updated by applying CORDURA® Nylon fabrics and premium leathers in winter ready colorways. Alongside the trademark KangaROOS pocket, all models also feature subtle detailing in the form of colored eyelets, rubber PxK tabs and double branding on the outsole and woven labels. In addition to the custom PxK packaging, the Woodhollow models also include a double branded Victorinox Swiss Army Pocket Knife. Brothers & Sisters, Colette, CNCPTS, Footpatrol, Hanon, Norse Store, Overkill, Pigalle and Sneakersnstuff.